﻿Professional Carpet Cleaning in Stromsburg NE - Free Quote! When you're looking for professional carpet cleaning, you can count on Chem-Dry of Stromsburg! We're a professional carpet cleaning service that provides a deeper, longer lasting clean and a healthier home. Our customers in Stromsburg, York, Seward, Columbus and surrounding Nebraska areas have become long-time, satisfied clients. You can trust our professionally-trained, hard-working and friendly technicians to understand your specific needs and provide a cleaner, healthier home for you and your family in Stromsburg NE. Don't forget Chem-Dry of Stromburg. 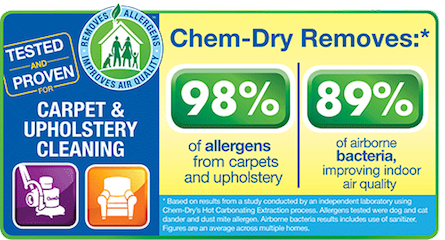 When it comes to the best carpet cleaning in Stromsburg NE, Chem-Dry is your best choice. Our goal is to provide you with a clean and healthy home. Our hope is that you become a long-time client for years to come. We are proud to serve this community with industry-leading services. "Bob and his team do a Fantastic Job. They have cleaned many carpets for us. Each time they do a great Job and take extra time on trouble spots. I would use them again and highly recommend them. Give them a Try TODAY!!" "I have used this business several times at home and business locations. Every time they have been very helpful, done a great job and provided service that was well worth the money. I highly recommend Chem-Dry of Stromsburg." What areas do you offer carpet cleaning? At Chem-Dry of Stromsburg we believe the best method for cleaning is using HCE (hot carbonating extraction). HCE uses the power of carbonation to get a deep and gentle clean. Carbonation requires less water so your carpets dry faster. The bottom line is our best carpet cleaning methods result in drier, cleaner, and healthier carpets! How often should I get a carpet cleaning? Experts recommend getting a professional carpet cleaning every 3-6 months to keep your carpets healthy and clean. Professional Carpet Cleaning Services in Stromsburg, York, Seward, and Columbus NE.